Order a Calgary Flames speciality licence plate. Calgary Flames fans can proudly show support for their team with a specialty licence plate featuring the Flames' colours, logo and slogan. 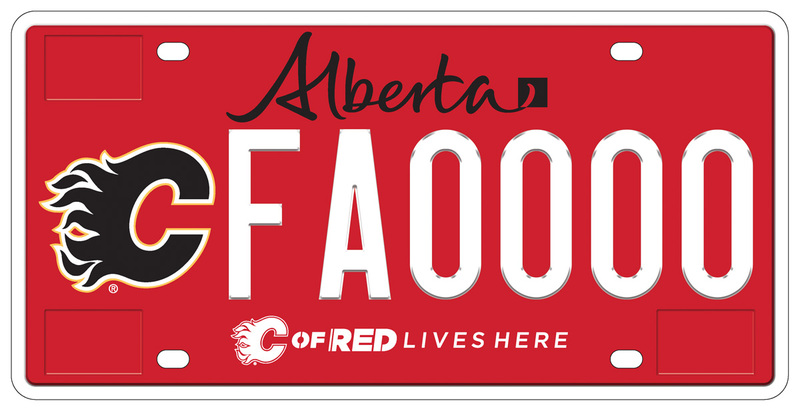 Order a Calgary Flames licence plate at any Alberta registry agent. Most of the money raised from the plates will go towards the Calgary Flames Foundation, a charitable organization that supports health, wellness, education and amateur sports in southern Alberta.